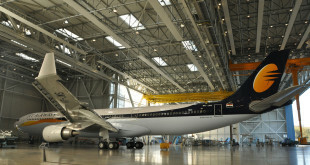 It is well known the aviation business is competitive, and India is probably the most difficult market to succeed in. While airlines are making handsome profits across the world, almost every Indian airline is facing financial issues. 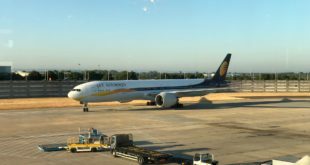 Leading the losses are national carrier Air India and private sector pioneer Jet Airways. Even the low-fare carriers are suffering in this era of profit-less growth. Rampant over-capacity has led to unsustainably low fares, which has spurred world-leading passenger growth rates. Yet, this growth is soft. Airlines remember 2008 and 2013; the moment fares were increased the passengers simply stopped flying. Who will then fill the seats in those hundreds of aircraft ordered? In this profitless scenario, Jet Airways needs a proven turn-around expert to lead it back to health. The public spotlight is firmly focussed on the airline, and expectations of finding a new buyer within eight weeks. With due respect, the idea of having former public sector unit (PSU) officials and bureaucrats attempting to effect turnarounds has not produced the desired results. Air India is a prime example. We wonder, what if the powers that were listened to the suggestions of Masaru Onishi who brought Japan Airlines back from one of the biggest airline bankruptcies to a record breaking IPO in just three years? (Read the story of the JAL turnaround and Onishi san’s suggestions for reviving Air India back in 2013). May be the powers that will come, should look at this list too. 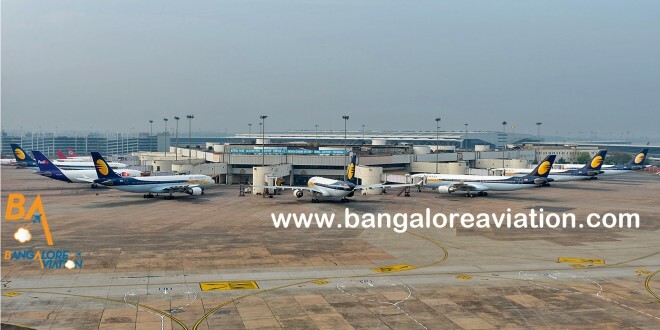 BangaloreAviation, would like to share, for consideration, a list of some turnaround candidates. These are in no particular order. Mueller is credited with turning around ailing Irish carrier Aer Lingus. Subsequently, he became the first foreign national to lead struggling Malaysian Airlines in its turnaround bid. Most recently he was with Emirates where industry sources indicate he was likely to be appointed CEO. Resigned from Emirates in Februrary this year. This former Easyjet executive has earlier served in India as former CEO of Gurugram-based Spicejet, making him well versed Indian market dynamics. Subsequently moved to Phillipines Airlines and then to Air Berlin, where he was part of the restructuring team. His most recent airline role was as the Chief Operating Officer of Air Italy which he left in Oct 2018. Currently consulting with other airlines. The former CEO of Hawaiian Airlines who led its turnaround. He was a contender to be CEO of Virgin Australia after leaving Hawaiian in March 2018. Started his career with India’s famous Taj Hotels Group. He is well-versed having worked with full-service airlines Delta, Lufthansa and American, as well as low-cost Virgin America (now merged with Alaska). He has also served with established aviation players Bombardier (makers of the Q400) and FlexJet. Currently with Airbnb as their Global Head of Transportation, so availability may be an issue. This seasoned aviation veteran has just quit as the Chief Planning officer for India’s market leader IndiGo. Known to be very affable, collaborative, and a person who sees the big picture. His experience with global full service carriers include United Airlines, Qatar Airways and Air New Zealand. His quitting IndiGo may just be the perfect timing, depending on the “gardening” provisions of his contract. He helped launch Hong Kong Express airlines which was recently purchased by Cathay Pacific. While not a turnaround expert per se, his experience across the low-cost airlines and across geographies can be invaluable. A people person who is known to win the trust of customers and suppliers alike. The current CEO of Jet Airways. He was Senior Vice President-Asia Pacific at Delta Air Lines. His experience speaks to more of an network planning, efficiency, and systems specialist, instead of turn-arounds. 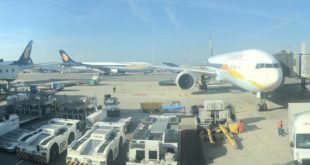 Given a chance, can he turn Jet Airways around? If his former employer, Delta, decides to invest in Jet, he will a trusted and preferred leader. The above names are non-Indian, reflecting the failure of both the industry and the country to nuture and sustain talent. The growing hyper-competitiveness of the Indian market, coupled with excessive interference sees good talent move overseas of simply leave the industry. Just look at Aditya Ghosh who led IndiGo to success but is now with Oyo. What are you thoughts on our list? Please share them via a comment. Also please add your suggestions to the list with a brief profile and your basis for suggesting them. Previous Spicejet launches flights from Jharsuguda, Kishangarh, and Lakhimpur. And 20 more flights.